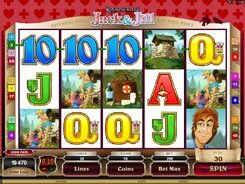 This is a progressive slot linked to the Microgaming’s Mega Moolah jackpot system. The game has 5 reels and 15 paylines, with its theme revolving around U.S. road trips, country spirit and roadside inns. A coin size comes in three options: $0.01, $0.02 and $0.05. 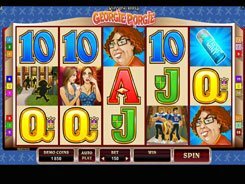 By changing the number of coins, you can place a total bet of up to $11.25 per spin. 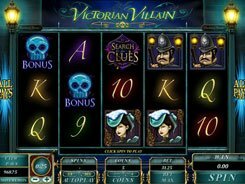 The game features a wild, a scatter, free spins, and a fixed jackpot worth $7500. 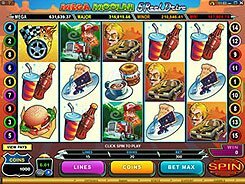 The Mega Moolah progressive jackpot can be won in a bonus “Wheel of Fortune” game triggered randomly during a normal game. 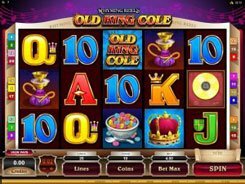 In the bonus feature you are to spin the wheel divided into colored sectors to determine which of the four jackpots you are awarded. There are four types of progressives that differ in their hitting frequency and size: Mini, Minor, Major and Mega. The slot’s developer states that placing the highest bet increases your chances to hit a progressive jackpot, yet low bettors qualify too. 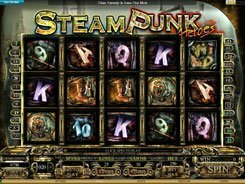 Progressive tickers with current jackpot amounts are shown above the reels. PLAY FOR REAL MONEY!